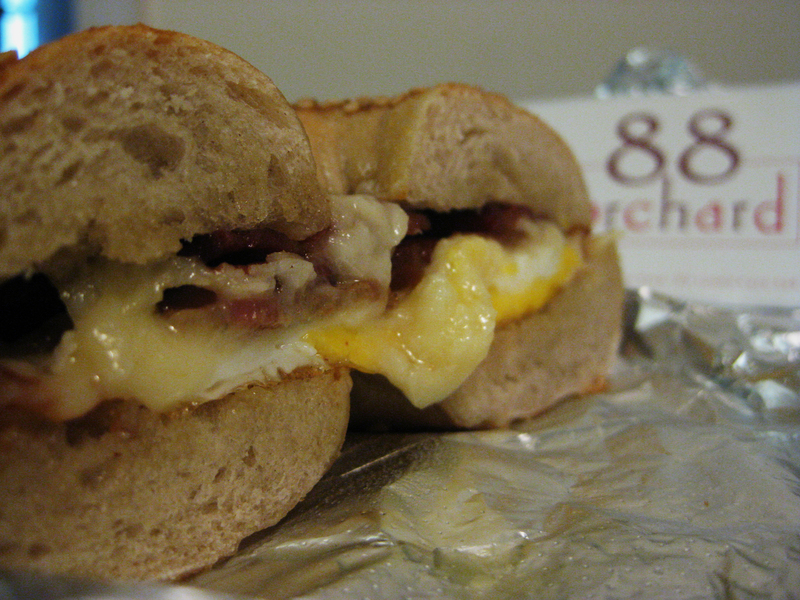 88 Orchard breakfast sandwich | O hi, Asia! This $8 breakfast sandwich was worth every penny. I took this just after the other half got into my belly. My plan was to save this half for later. That was crazy talk. Thinking I may have to get more of these babies my remaining 2 mornings here in NYC. murrays bagles on 6th ave, down near 14th-ish lox bagles… don’t miss them, they will change your life.